PVC laminated with FR wood pulp. Color-Grey, 2.5 mil. 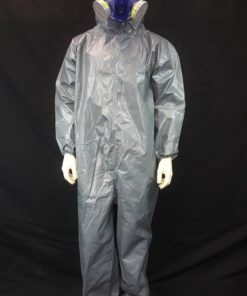 Flame retardant and Chemical resistant with sealed seams. Sungard FR/CR helps reduce total body burn.